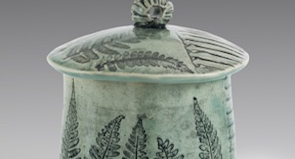 St. Andrew's-Sewanee School's SAS Gallery is pleased to present the work of five Southeastern clay artists. Functional Clay: Five Contemporary Artists will be in the gallery October 8 through November 14, 2016. The exhibition features the work of artists Burki Gladstone, Mary Lynch, Claire Reishman, Merissa Tobler, and Ursula Vann. Their works range from pit-fired stoneware to atmospherically fired porcelain; yet, all are functional -- intended for use by their owners. And, each negotiates a unique and compelling dialogue between form and function in those works. A reception celebrating the exhibition will be held in the SAS Gallery on Thursday, October 27, 5-7 p.m. The public is invited to attend. "Functional pottery is utilitarian. When I make a pot, I think about its possibility - what it might contain and who may use it. My hope is that the pottery is welcomed into a person's home and becomes part of their rituals. When someone tells me that they religiously drink their morning coffee from one of my mugs or that one of my casserole dishes is perfect for serving their Sunday morning blueberry pancakes, I am happy. Handles that fit the hand, lips of cups that slip smoothly between lips of drinkers, lids that transform serving bowls into storage for leftovers, the form fits the function of the pottery. The value of a functional pot lies in how it enriches the life of the person who uses it." Mary Lynch received a BFA with a concentration in sculpture from the University of Tennessee at Chattanooga and an MA in Art History from Virginia Commonwealth University in Richmond, Virginia. She taught ceramics courses at local colleges and for the city of Chattanooga. She has won several awards in the Full CAST exhibition at Sewanee, Tennessee and in September 2002 served as Artist-in-Residence for the University of Tennessee at Chattanooga with the support of the Lupton Renaissance Funds. In addition she has attended workshops at Penland School, the Appalachian Center for Crafts and Shakerag Workshops. A Chattanooga native, Mary Lynch currently works from her studio in Georgetown, Tennessee, making hand built, utilitarian pots. Lynch observes that hand-building with clay is a slower process than throwing on the wheel but it allows her to build forms in stages, similar to growth in nature. Using leaves, shells, found objects, and other materials she layers the textures and impressions on clay slabs, then cuts and forms the slabs into the desired shapes. Nature in its smallest forms has always intrigued Lynch. As a child she was fascinated by the world she found at her feet: bugs and rocks, interesting leaves, bones and fossils. In college, she discovered clay as a way to express her interest in the natural world. 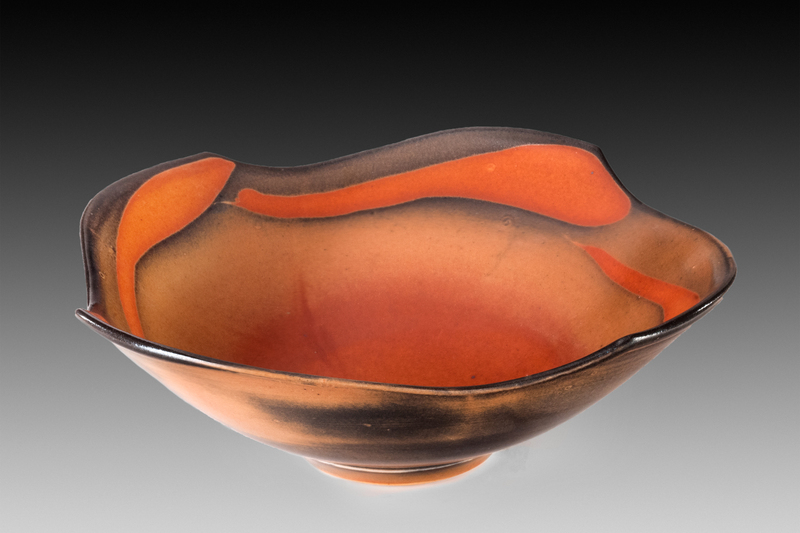 Claire D. Reishman is a studio potter in Sewanee, Tennessee, where she has lived for over 45 years. She first began working with clay in the late 1970's, and from the beginning she has focused on functional pieces. She now works primarily in porcelain but also continues to produce stoneware pieces, and all of her work is high fired in reduction or soda-salt kilns. Reishman teaches both English and Clay at St. Andrew's-Sewanee, and she is the director of Shakerag Workshops, an adult arts program held on the St. Andrew's-Sewanee campus each June. In addition to working with clay, Reishman is an avid fox hunter with the Hillsboro Hounds. "All of my life I have enjoyed making things that are useful. Knitting a sweater, sewing a skirt, creating a pot, cooking a meal, or building a barn – these are all activities which give me great pleasure. I love the way that function suggests and alters form, and in clay, I am intrigued by the challenge of making pieces which are both practical and attractive. Because my primary interest lies in the functionality of a piece, I am drawn to atmospheric firings where simple glazes compliment the form. Lines reflecting the natural world are generally the only decoration of my work, and I like the way that the flame and heat of firing influence the color and effect of a piece. I think of my pots as unfinished until used, and though I hope that others enjoy them as objects on a table, they are best experienced as a part of the owner's everyday life." Merissa Tobler has been one of Tennessee's most important potters for the last 40 years. She taught pottery at St. Andrew's and St. Andrew's-Sewanee School for many years before becoming a full time professional potter. Over the years she has exhibited her work in galleries in Chattanooga and Nashville, as well as at the annual Tennessee Craft fairs in Nashville, and her pieces have been collected by numerous private collectors throughout the region. "The magical quality of transforming clay and chemicals into objects that can be used to enhance daily routines of our lives keeps me making pottery. The connection between my hands that create the pieces and the hands of those who use them is very important in my creative process. I'm delighted by the surprises that appear each day in the most ordinary seeming objects and events. I aspire to make objects whose function is ordinary but that will bring pleasure to the user." Ursula Vann was born in Germany, but has lived in Huntsville Alabama most of her life. After graduating from the University of Alabama with a BS in math, she worked for NASA for several years. An underlying interest in art was always present and she explored a number of areas including painting, fibers, dyeing, baskets among others. Nothing 'took' until a chance clay workshop determined her future. She has now been working with clay for over 30 years. Her focus has always been the useful pot. Mostly self-taught early on, she took brief classes and workshops whenever possible. More serious clay education came later with 2 to 3 week summer workshops at Penland School for the Crafts in North Carolina. In her pottery, form and function have always been the most important considerations. Changes evolve slowly and there is always the hope that the next pots will be better! Decoration of the surface has been less important and she has always used simple glazes that enhance the form. Stoneware and sometimes porcelain clays are used and fired to about 2300 degrees in an electric kiln. Recently she has experimented with smoke/pit firing. This technique is basic, as the materials used are clay, wood, sawdust, salt and other combustibles and fire. The surface effects are not predictable or controllable and that makes it especially challenging. The SAS Art Gallery is located in the center of Simmonds Building on the St. Andrew's-Sewanee School campus at 290 Quintard Road, Sewanee, TN. Hours are Monday through Friday, 9 a.m.–3 p.m., and by appointment. Contact Gallery Director Julie Jones at sasgallery@sasweb.org for more information.